You can now pick up a Pebble smartwatch for up to $50 less than you could last week. The company announced a price cut for both of its cross-platform watches on Tuesday: The original Pebble now costs $99 — down from $149 — while the Pebble Steel is priced at $199, a $30 drop. Both are also gaining some new health-tracking features thanks to third-party apps as well. The Pebble could already tap into smartphone apps that count steps or track movement, but a software update is bringing “full activity tracking and sleep monitoring for all Pebble watches,” according to the company’s blog post. Thanks to improved integration with the Misfit app, the Pebble watch will now measure sleep. Jawbone will have a new activity tracking watchface for the Pebble watches, while Swim.com will let the Pebble measure pace, distance, time, strokes and swimming efficiency; yes, the Pebble is water-resistant up to 5 ATM or 50 meters of depth. The new sleep tracking could help Pebble stand out from the growing pack of smartwatches: Most competing devices will end up on a charger during the night. 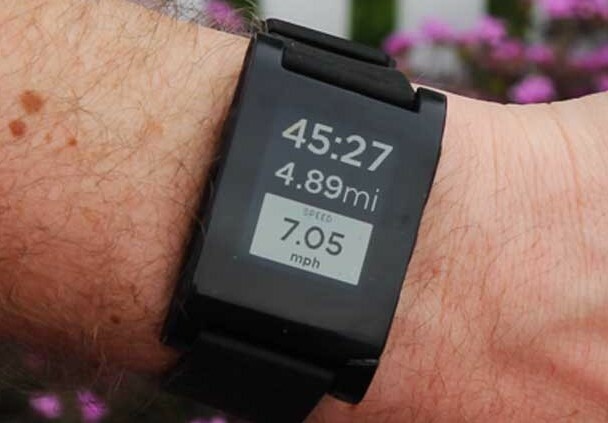 With its low-power e-paper display, the Pebble can run for up to one week on a single charge. That means it has can be worn all night to monitor sleep habits, which watches with LED or OLED displays can’t. With long run-times between charges, new quantified self functions and a lower price, Pebble seems to have found a way to keep sales moving forward.